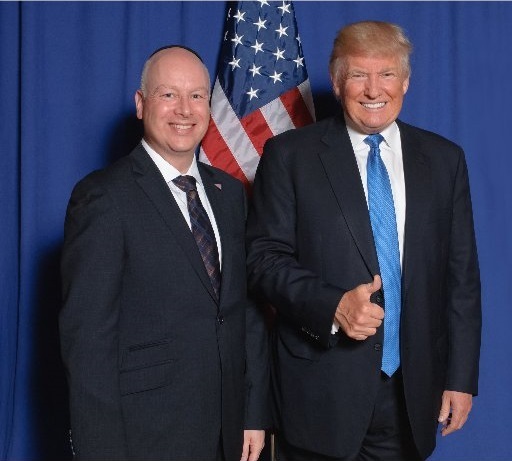 President Donald Trump will not present a comprehensive peace plan when he speaks at the United Nations later this month, but his “deal of the century” will be revealed soon after that, said Jason Greenblatt, who along with Jared Kushner has been developing the deal that the President claims will bring peace to the Middle East. Palestinian Authority officials reiterated this week that they will have nothing to do with any plan offered by the Trump administration. After a series of steps aimed at the Palestinians in recent weeks, from halting UNWRA funding to freezing payments to Arab hospitals in Yerushalayim – all aimed at prompting the PA to negotiate seriously with Israel – the Trump administration on Monday ordered the closure of the PLO mission in Washington DC. According to the sources, PA chief Mahmoud Abbas will use his podium at the UN General Assembly to personally attack President Donald Trump. Abbas “plans a very critical speech at the end of September and will place the blame for the deterioration of the situation in the Middle East on Trump personally. He plans on using very undiplomatic language, to say the least,” the PA sources told Channel 10.